In this 2-day InDesign training class, you will learn to use the tools in Adobe InDesign to create professional page layouts including both single page and multi-page documents. This course introduces you to the newest techniques and tools used in Adobe InDesign CC for both print and digital publishing. You will learn to use the most current version of InDesign to design and publish a broad range of content in print, online, and for tablet and mobile applications. You will learn type controls, graphics file management, layers, style sheets, proper document setup, productivity shortcuts, and best practices. The real-world tasks in this course are presented in an easy-to-follow, step-by-step format using Adobe authorized hands-on exercises. All our InDesign classes feature a live Adobe certified expert instructor in the same classroom with you. This course is regularly updated for the latest new features in Adobe InDesign CC, but is fully appropriate for users of InDesign CC and later versions. Schedule of upcoming Indesign training classes. Upon completion of this InDesign training course, you will be able to create simple or complex page layouts quickly and efficiently using Adobe InDesign’s tools and design environment. This training will give you the skills you need to create InDesign files that look polished and professional. You will learn to use InDesign to create top-notch marketing materials. You will be able to create proposals that sizzle, catalogs that sell, and top notch magazines, newsletters or documents for professional print or online use. Instructors are experienced Adobe certified, industry professionals and have the real world knowledge needed to cover common mistakes made by InDesign novices. This Adobe InDesign training class is recommended by Adobe for creative professionals seeking the fastest, easiest, most comprehensive way to learn Adobe InDesign. This class is appropriate for those with little to no prior knowledge of using Adobe InDesign. Intermediate InDesign users with no formal training will also benefit from this class as tips, tricks, keyboard shortcuts and essential foundational InDesign skills are covered throughout this class. The class is also appropriate for those responsible for managing the workflow of a team of production artists as well as those who typically outsource much of their creation process but desire increased control and flexibility when editing and updating InDesign documents. 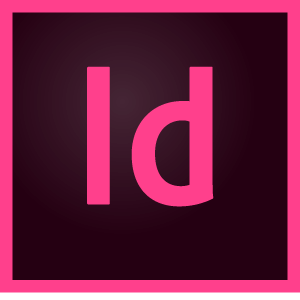 We recommend that you have access to the Adobe InDesign software before starting the class. You can purchase InDesign or obtain a free trial version from the Adobe website. The Adobe Certified Expert (ACE) program helps you gain professional recognition for your Adobe product skill and expertise. 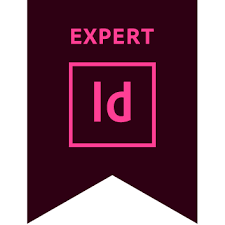 Adobe certifications are recognized as an industry standard of technical excellence worldwide - and it’s the best way to promote your proficiency in InDesign to employers or prospective clients.